Although Oahu is the most popular island among tourist it is worth the adventure. Oahu offers unforgettable destinations such as the Dole Plantation, The Pearl Harbor Memorial, as well as Diamond Head and ʻIolani Palace, just to name a few. The tropical climate and island feel will have any visitor feeling relaxed and rejuvenated as soon as they step off the plane. A trip to Oahu is not complete without a stop at the Dole Plantation located in Wahiawa, this family friendly attraction started as a fruit stand in the 1950’s. Since then the area has grown and offers a great day tour jam packed with activities and pineapple infused cuisines. 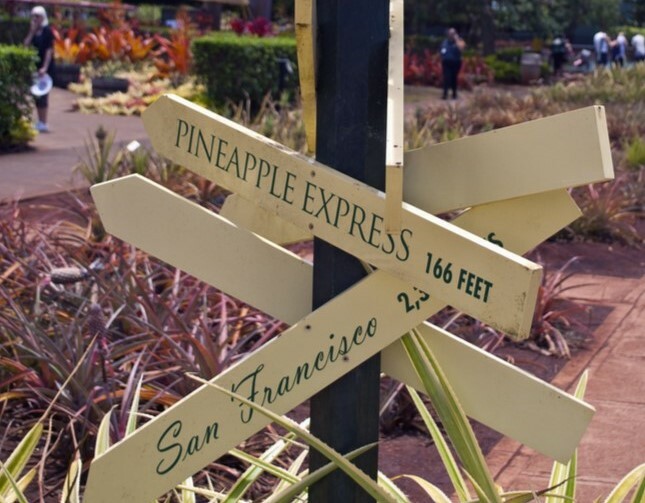 Make sure to hop on the Pineapple express train, then find your way through the pineapple garden maze, finally a Dole plantation is not complete without enjoying their world famous Dole Whip. 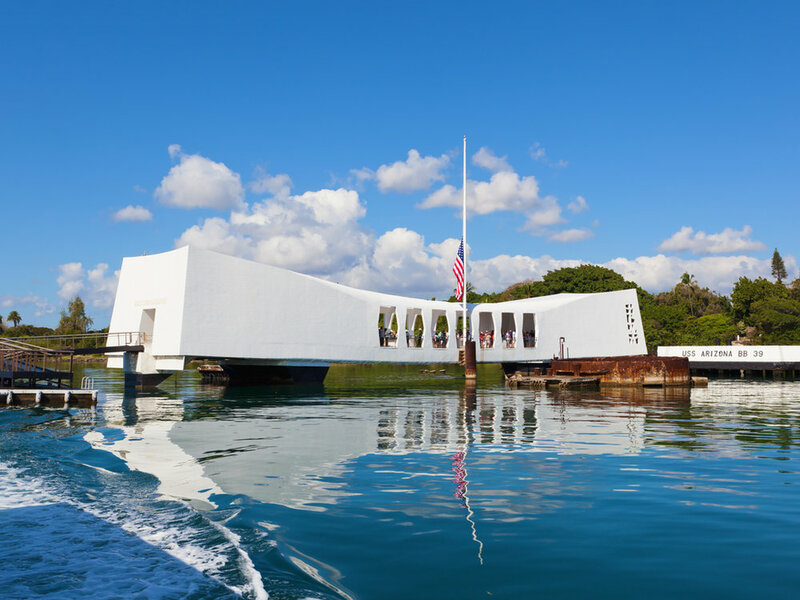 Pearl Harbor is another must see when on the island of Oahu located in the bustling city of Honolulu. This historic sight is a place to learn and reflect on the past. Visitors can step foot on the USS Missouri, “America’s last Battleship” where it stands a quiet guard over the harbor. Then take a few moments of silence in the USS Arizona Memorial, built over the sunken battleship. This experience is both moving and unforgettable. 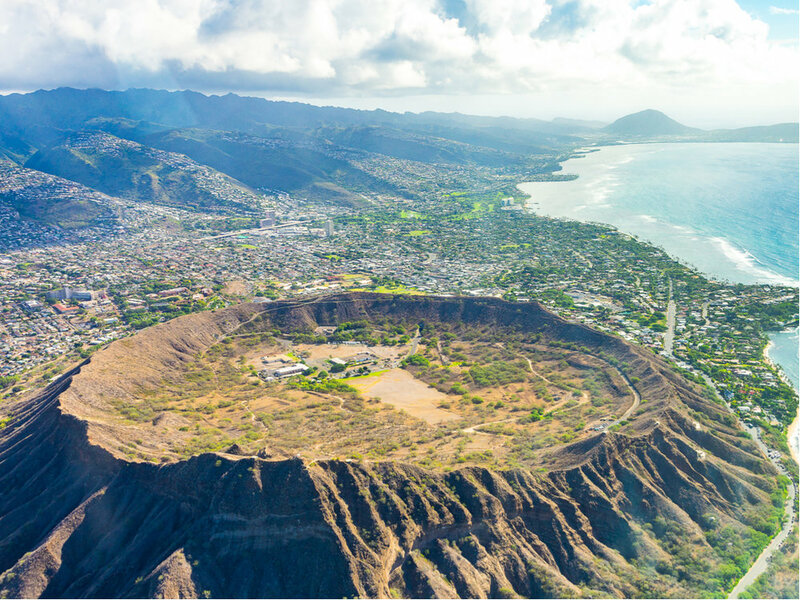 Take the trek to the top of Diamond Head. The trail takes you to the edge of a 300,000 year old crater. This 0.8 mile hike is a little strenuous as the trail ascends at a rapid pace. Once At the summit, you’ll see bunkers and a huge navigational lighthouse that dates bake to 1917. The view of the Pacific ocean is jaw dropping. During the winter months the chances of seeing humpbacks is high so make sure to pack your binoculars! 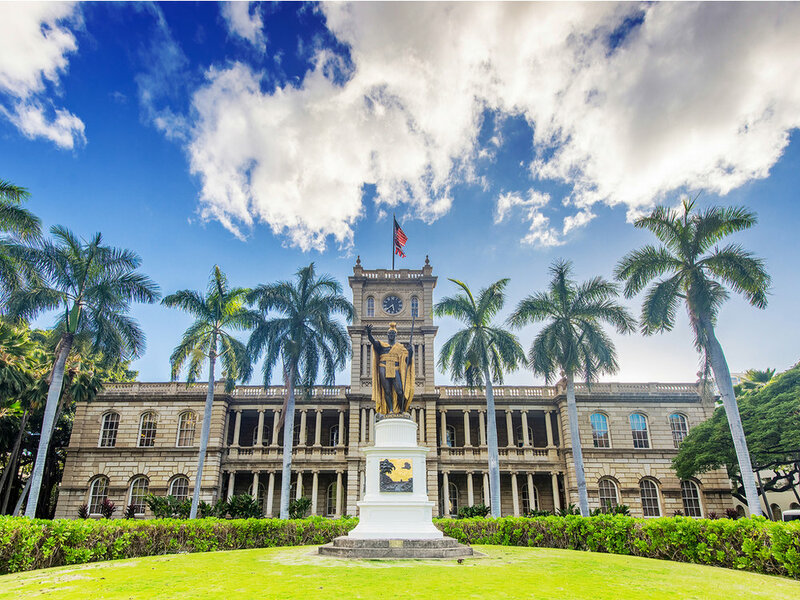 Experience the life of luxury at ʻIolani Palace also within the city of Honolulu. This restored palace was home to Hawaii’s last reigning Monarchy. The home has been restored to almost perfect condition allowing guest to walk back into the era with original furnishing and recovered artifacts. Walk the grounds and the palace to experience this Hawaiian history.